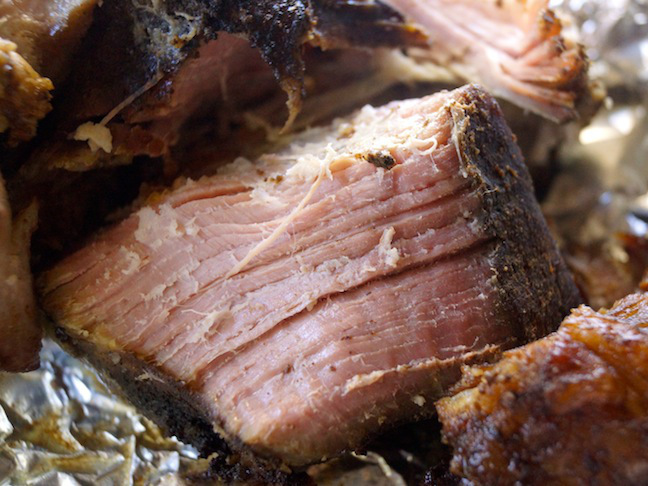 If you’ve ever tasted perfect pulled pork, you know just how flavorful and succulent it can be—and you’ll be so happy if you learn to make it yourself! A couple of weeks ago, I made this over the weekend—putting the pork in the brine Saturday evening and slow roasting it on Sunday. I used it for a bunch of different meals that week. From chili, tacos, and salads, to grilled cheese sandwiches in my kids’ lunch boxes—everything was a hit with the whole family. 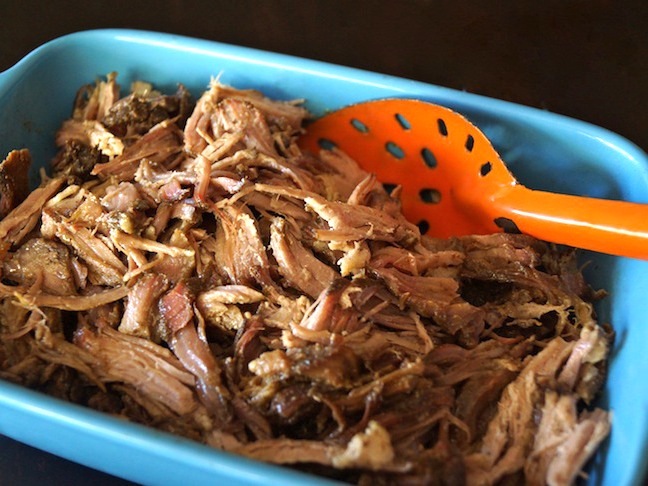 Keep reading to find out how to make perfect pulled pork! Step 1: In a medium-sized stock pot, bring the water to a boil with the salt and sugar. Stir once it's boiling to be sure all of the salt and sugar has dissolved. Now turn the heat to low and add all of the spices (the next four ingredients). Step 3: Once the brine has cooled, place the pork in a large container, making sure it will be big enough that it won't overflow once you add the ice and the brine. Step 4: Add the ice to the container with the pork and carefully pour the brine over it. Cover the container with the lid (if there is one) or plastic wrap. 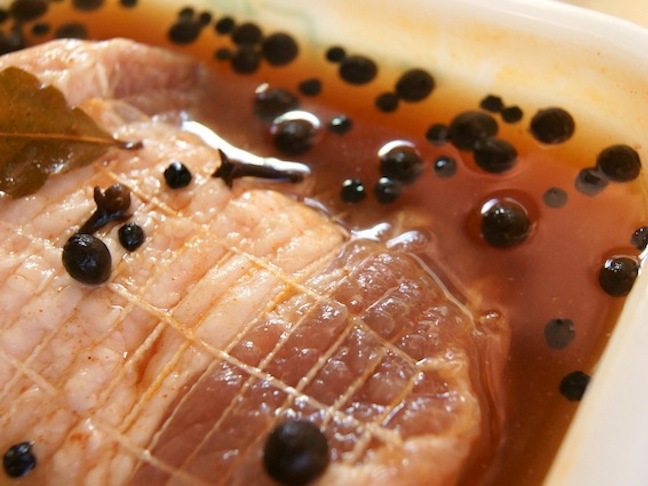 Either way, make sure the meat is completely submerged in the brine and that it's sealed tightly. Place the container in the refrigerator for approximately 12 to 18 hours. 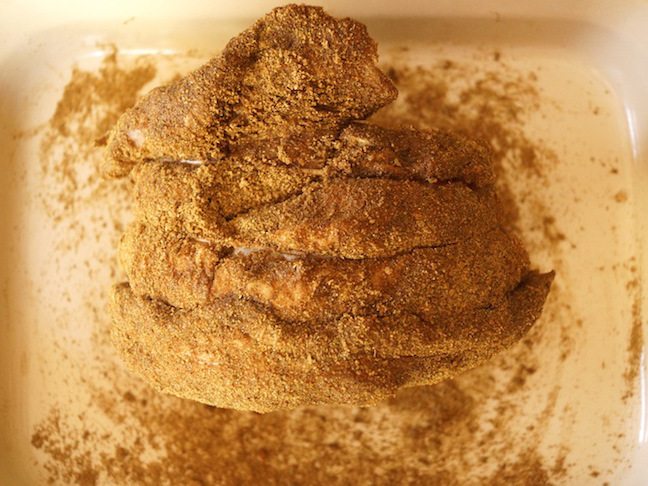 Step 5: Mix all of the spice rub ingredients together in a small bowl. Be sure they are well blended and set aside. Step 7: Now add the spice rub to the entire surface, using your hands to "rub" it in to be sure it adheres---all of the sides should be well coated, and the fat side should be facing up in the pan. 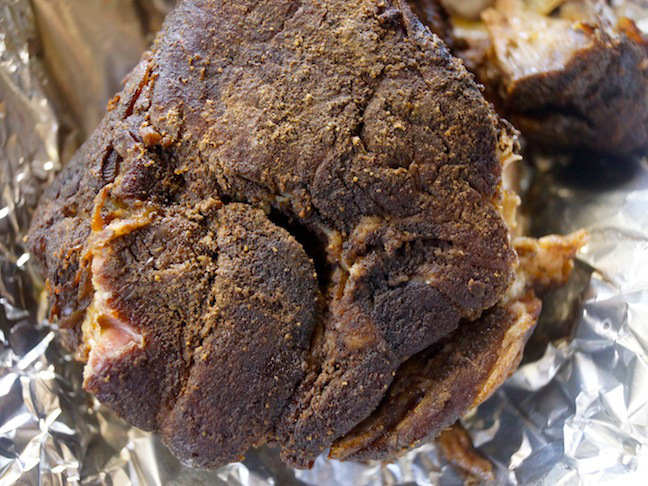 Step 9: Once you remove the pork from the oven, loosely cover with foil and let it rest for about an hour. Step 10: Then place it on a large, clean work surface. Gently lift and remove any large pieces of crusted fat on the top. Now "pull" the meat apart with your hands. It should fall apart very easily.